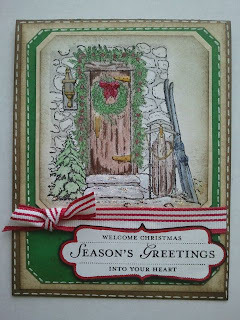 Techniques by Trish: Snowy Winter Blog Hop! I love the card you have made. It is very beautiful. 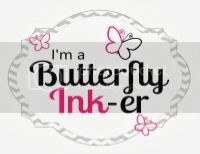 Love Stampin Up...love your card! Awesome job!! Thanks so much for sharing and being a part of this awesome blog hop!! Your card is wonderful. I'm in awe of your inking. Thank you for sharing such a wonderful project. If this card is part of the ones going to your Mom she will love them, your stamping/coloring adds the beauty to this card. Great job and thank you for sharing. What an amazing card!!! Thanks so very much for sharing!! Trish this is a really pretty card. I love that stamp. Wow. WOW! It looks like store bought! Very pretty! This was a great hop! That card is gorgeous! TFS! Love the coloring on your card! Beautiful. Wow....your card is so pretty! I love those stamps that you used. You are so kind to make your mom some cards. I know she will be so proud to send the out. Thanks for sharing. Wow, What a beautiful card. Thanks for the chance to win. This is beautiful and so wonderful of you to make your mom's cards. I made my own one year but it took forever. Good luck getting them finished. This is an adorable card... great job! Your Mom will love them! That's a elegant card. Thanks for share. I so admire your work on the card coloring! I wish I could do this as great as you do! This card came out beautiful! I just love the feel it gives off. Wow!!! Woederful job!!!! I really love your card is amazing! I love all the details!!! That is so beautiful. I am so glad I don't get request like that. We just buy the photo one's from online. Love when others take the time to make them. I think they are more special , oh and mom's love to brag on their kids, so that helps. Thanks for sharing and loving the hop. I have Had A Super time doing this Blog...It rocked!! You all are so very talented and have left me with much Inspriation!!! Thank you, thank you, Thankyou!!! You certainly have your work cut out for you this weekend, however, the cardis absolutley beautiful. Thanks for sharing and the opportunity to win. love the card.. so pretty. thanks for sharing! That card is just beautiful! That takes a lot of hard work! Thanks for sharing and the chance to win! Very pretty card! That looks like it would take a long time to color each card! Good luck finishing them all! Wow - beautiful work! Thanks for sharing. And, of course, it would be so awesome to win a Michael's gift card. Hi Trish, beautiful card!!!! Thank you for sharing and doing the hop along with you!!! just a quick comment - i'm a follower now and on my way to Michaels - like I need another obsession - going to get stuff for the cake decorating class!! Love the card, Love the stamp too!! What a beautiful card. Thank for sharing! Great job, that sentiment is GORGEOUS. me(at)glorajean(dot)com. Great card. Love all the details that you put onto it. Thank you for sharing. Very nice card, I love the stitching! Beautiful card...your mom is going to love these!!! TFS!!! WOW - this is beyond beautiful!! You did such an amazing job, it is so elegant! Thanks for an unusual and beautiful card. It is one of the nicest ones I have seen. Thanks for your time and talent. What a beautiful card Trish! Thanks so much for sharing. What a beautiful card and I love the sentiment, thanks for sharing. Beautiful card!! I'm sure your mom will appreciate the hard work that goes into each card!! This is one of my favorite holiday stamps! It just screams "welcome" to my house for the holidays. Great job. I just discovered your blog on this hop - so nice to meet you!! Thanks for sharing with us! Beautiful card! Isn't SU! stuff the best!?! Beautiful job!!! I love it!! Awesome card and I love those stamps! Your mom should be proud!! TFS. Happy Holidays! Your card is absolutely gorgeous! Thanks for sharing and the chance to win. Beautiful card! Your Mom will love it. I really like the greeting stamp and the framed shape the greeting is on! Nice job! Very beautiful card I love everything about it!! Awesome job!! Your card is great I wish I could do more of that! I don't have many stamps to do those kind of cards but I might have to get some and thank you for the giveaway! Beautiful! That stamp is awesome! THis card is so beautiful!! I love that stamp and you are becoming a pro at coloring!! LOve everything about it. Very nice card. And love Michaels. Thanks for the giveaway. I love the way you stamped this. Wonderful card. Love the card! Best of luck on getting them completed! Thanks for the chance to win. Such a lovely project. Thank you for the opportunity to win. A beautiful, vintage looking card. Bet your mom will love this kind of card. Love your cards. I'm having way too much fun with my first Blog Hopping. All of these sites are so interesting. Giving me some great ideas. Thank You. Beautiful! :) I love it! :) IT was so much fun hopping with you! What a great hop! Great image! I am so happy I was able to be part of this great hop today! She's going to love these cards, you do a fabulous job!! This has been a FANTASTIC hop!! I really like this card! So rustic, just gorgeous! Thanks for sharing it with us and for being a part of this amazing blog hop! Beautiful job on the coloring! Great card, Mom will be very happy. OMG!!!! This is beautiful! and it does nave a vintage feel to it.. So elegant, your mom will be very happy! Stunning card!!! Enjoy your coloring time with great old Christmas music and a cup or two of eggnog. Merry Christmas!!! Beautiful card! TFS, Thanks for the hop and thanks for letting me play. Super nice card Trish... sorry Im visiting so late... this was a very busy day for me..
Wow...what a beautiful image...and a beautiful card!! Hope you finish them on schedule...quite an undertaking! TFS! Like the old fashion door. what a beautiful old fasion card. Gorgeous card. So Old Fashioned Christmas classic. Love it. :) TFS! Awesome card! Thanks for sharing your talents. Very nice! Good luck finishing them. Beautiful card. Your "coloring" is very nice. what a great card very nice. Love it. Lovely Card Trish...It looks like a lot of work went into it. You are awesome! What a beautiful card! Awesome coloring! Thanks for the chance to win. What a beautiful card. I love the stamps. Thanks for a chance to win. what a lovely image - very homey feel. Nice christmas card. Thanks for sharing. 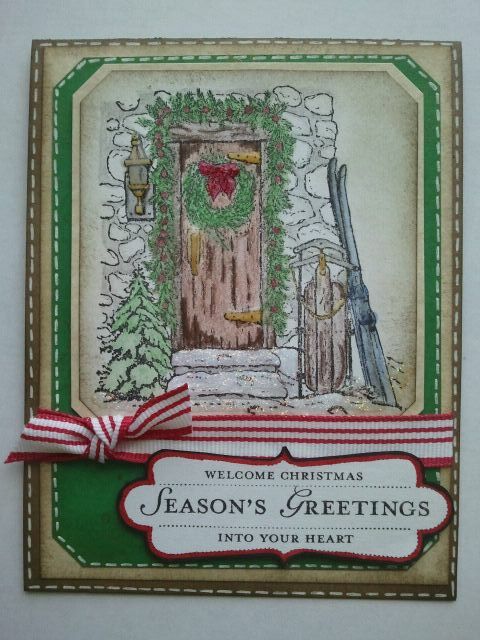 Really Nice Card...The stamp is just beautiful... Real cozy. TFS! I had a blast hopping along with all you talented ladies. Beautiful card--the coloring was worth the time you put in! The detail of the card is exquisite. So beautiful! I've been a follower! Beautiful card! I will have to see about getting that one! This card is really lovely and you did a great job on it. I love coloring stamped images. Thanks for the inspiration. OOPs.. I forgot to put my contact info. This was such a fun hop! Great projects. And this is a very lovely card! I love your card!!! :) You did a great job coloring! That stamp set by Stampin' Up! has been on my wish list since last year. Beautiful card! Your 'dedicated' coloring weekend will sure to be appreciated by the recipients of your beautiful card! Great coloring. Are you using markers or pencils? Great card. Your mom wil love it. And Good luck with all of your coloring, I know it can be very time consuming. You've done your Mom good, TFS. Your mom is going to love this! Very very pretty! What a great hop! Gorgeous stamping - your mom is gonna love these cards! Wish I had the skill to color.... just don't. Love your card.